Neta Scientific recently completed its 4th Annual National Sales Meeting. On behalf of our Executive Management Team, thank you to all our sponsors for making our 2019 meeting a great success! 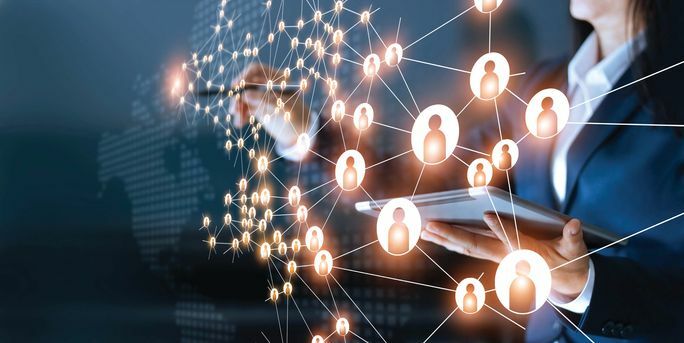 The theme for 2019 is Creating Customer Connections. Our vendor fair was a valuable opportunity to kick off the theme while bringing the Neta staff and our suppliers together to discuss new products and strategies for evolving our connections. After a prolific week of team meetings and supplier presentations, Neta Scientific and our Gold Sponsors gathered at Café Madison in Riverside, NJ for the 4th Annual Neta Awards Dinner. 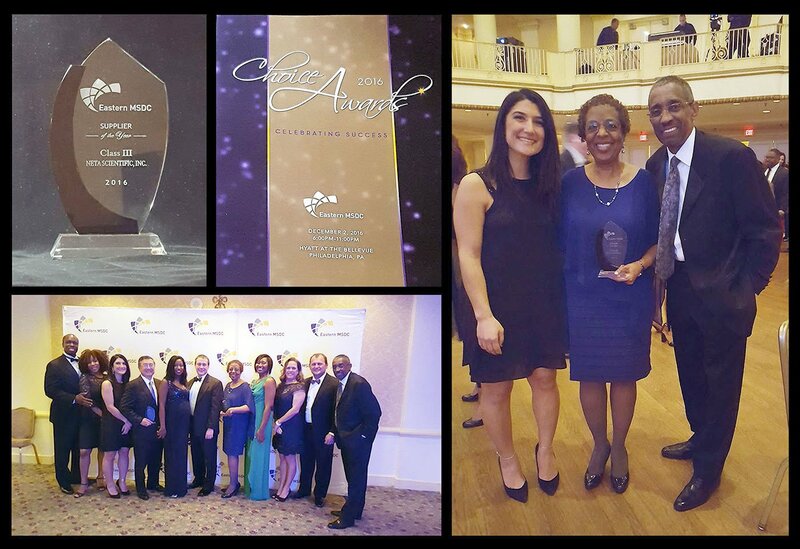 For the 2nd year in a row, GE Healthcare was awarded Neta Supplier of the Year and Nisha Sherma was selected as the Neta Scientific Business Development Manager of the Year. Congratulations to both! 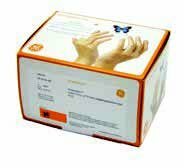 Neta Scientific is proud to be a part of the Volunteers of America Delaware Valley Adopt a Family program. 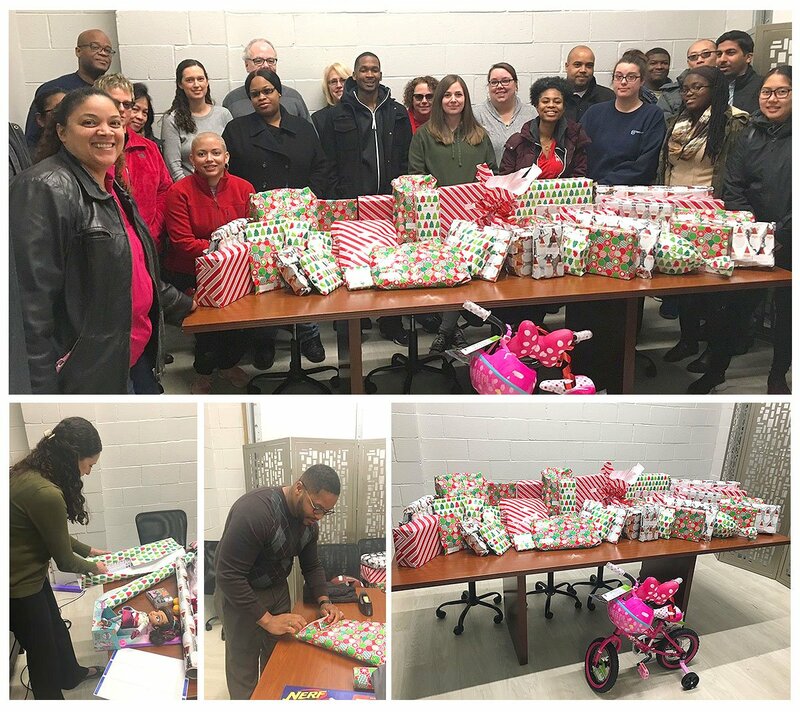 It is an honor for the Neta staff to help give joy to a family in need this holiday season. with an estimate of 200 lbs. of non-perishable items collected for the Food Bank of South Jersey. Here is the Neta staff with our donation and local delivery. 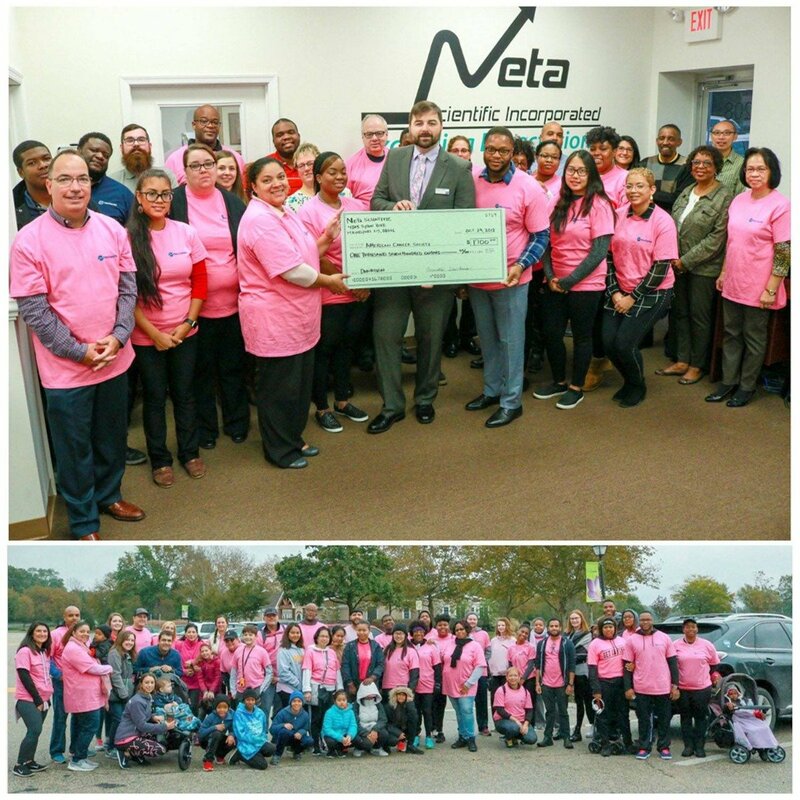 Neta Scientific's 1st Annual Walk for the Cure was held October 20, 2018. It was a success and an honor as we raised $1,700 to support the American Cancer Society. Here is the Neta staff at the walk and presenting our donation to the local chapter representative. 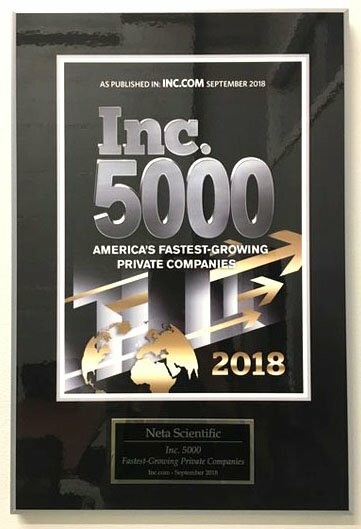 For the 3rd time, Neta Scientific has been honored by Inc. Magazine for the Inc. 5000 list, the most prestigious ranking of the nation’s fastest-growing private companies. Dr. Winfred Sanders and Mrs. Garnetta Sanders at the 2018 Buyers Trade Mission, 20th Edition in Costa Rica. BTM is one of the largest business conferences in Latin America where quality, innovation, and a large variety of products are brought together to represent Costa Rica’s exportable goods from the food, agriculture, and specialized industry sectors. Dr. and Mrs. Sanders were honored to represent Neta Scientific for this special opportunity to join international leaders in these sectors. Neta Scientific recently completed its 3rd Annual National Sales Meeting. The theme of this year’s meeting was Team Up: Refresh, Refocus, and Renew. Our Executive Management Team would like to extend their gratitude to all the Neta suppliers who attended this event. At the Neta Vendor Fair, our employee support teams were given the opportunity to network with our suppliers to receive information on the latest products and innovations in the industry. After a productive week of sales training and supplier demonstrations, Neta Scientific and our Gold Sponsors of this year’s sales meeting gathered together at the Harvest Restaurant in Moorestown, NJ for the 3rd Annual Neta Awards Dinner. Congratulations to GE Healthcare who was awarded Neta Supplier of the Year and to Nisha Sherma who was selected as the Neta Scientific Business Development Manager of the year. Thank you to all our sponsors for making this year’s meeting a great success! President, Winfred J. Sanders, Ph.D. of Neta Scientific Inc., was featured in the video, “Celebrating and Showcasing Diversity and Inclusion” produced by the University of Pennsylvania’s purchasing services department. Filmed at the Penn Supplier Diversity Forum & Expo held on May 18, 2017, the event brought together diverse suppliers, Penn buyers, local agencies, and organizations to celebrate diversity. "We are honored to recognize outstanding performance among our MBE suppliers. 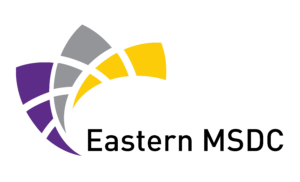 Your company has distinguished themselves by demonstrating growth in sales, continuous growth in MBE to MBE purchases, innovation in the delivery of services, significant and continuous contribution to the growth and development of your community, and commitment to the cause and success of EMSDC. Again, we congratulate you and look forward to seeing you at the Choice Awards on December 2nd at the Hyatt at the Bellevue in Philadelphia." 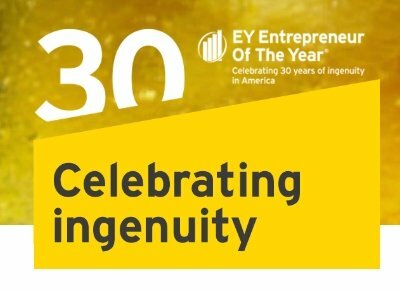 EY Entrepreneur Of The Year is the world’s most prestigious business award for entrepreneurs. 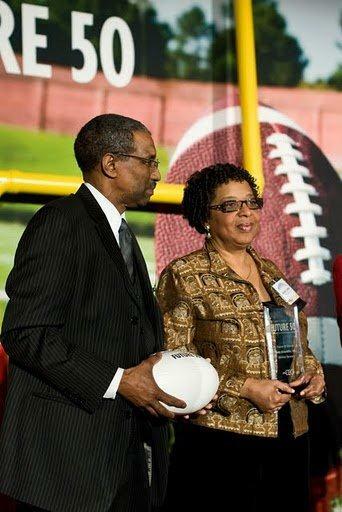 The unique award makes a difference through the way it encourages entrepreneurial activity among those with potential and recognizes the contribution of people who inspire others with their vision, leadership and achievement. As the first and only truly global award of its kind, Entrepreneur Of The Year celebrates those who are building and leading successful, growing and dynamic businesses, recognizing them through regional, national and global awards programs in over 145 cities and in more than 60 countries. Neta Scientific just completed its first national sales meeting. The theme of this year’s meeting was Success through Synergy. Our Executive Management Team would like to extend a warm thank you to all the Neta suppliers and customers who attended this event. At the Neta Vendor Fair, our valued customers and employee support teams were given the opportunity to intermingle with Neta Scientific suppliers to receive information on the latest product innovations in the industry and updated news on new product launches. After a long day of sales meetings and product demonstrations, Neta Scientific and our Gold Sponsors of this year’s sales meeting gathered together at the Harvest Restaurant in Moorestown, NJ for the first annual Neta Awards Dinner. Congratulations to Agilent Technologies awarded Neta Supplier of the Year and to Denise Baracia who was selected as the Neta Scientific Business Development Manager of the year. Thank you to all our sponsors making this year’s meeting a grand success! 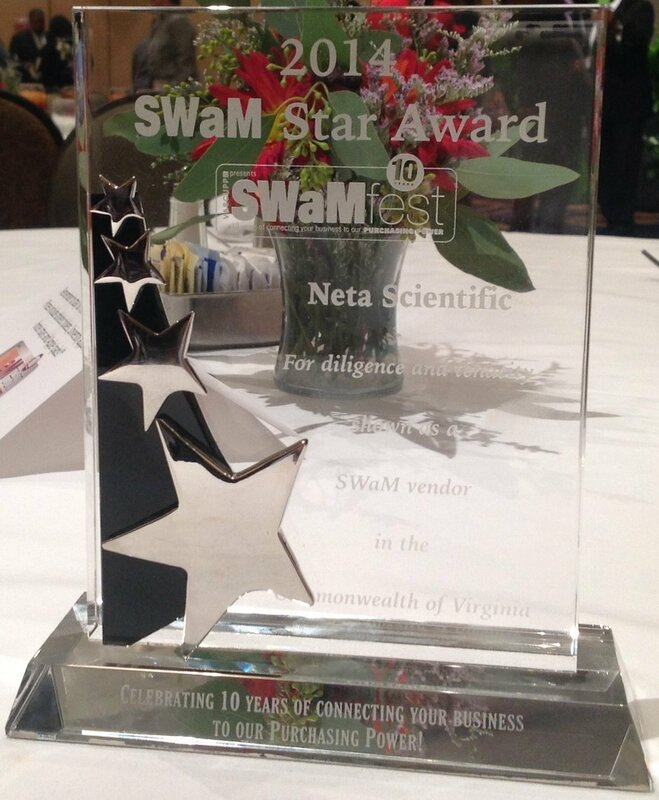 Neta Scientific has been recognized for its perseverance, follow-up on customer issues and delivery of commitment by Virginia Tech. 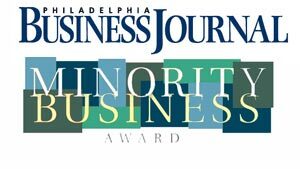 The Black Enterprise (BE 100’s), have been announced and Neta Scientific has been named to this prestigious list. Neta Scientific has been honored with the Inc 5000 Fastest Growing Businesses Award. 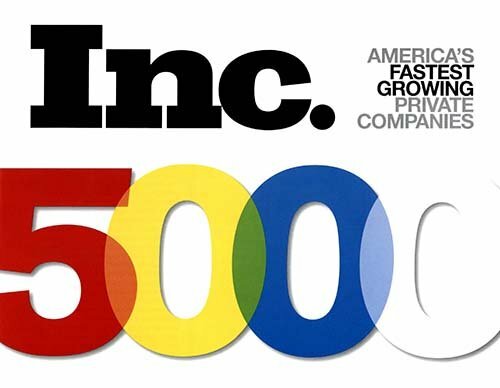 This dignified honor is awarded to the 5000 fastest-growing private companies in the U.S.A.